Listen. If you are still with a wide open ear tipped towards the sweeping and never-ending Savannah that lays before you then sounds that were not caught before will suddenly lift your heart into a steadier pace. Then you are off in the jeep, with dust billows of the dirt tracks trying to catch up with you. This is the essence of your safari in Africa. 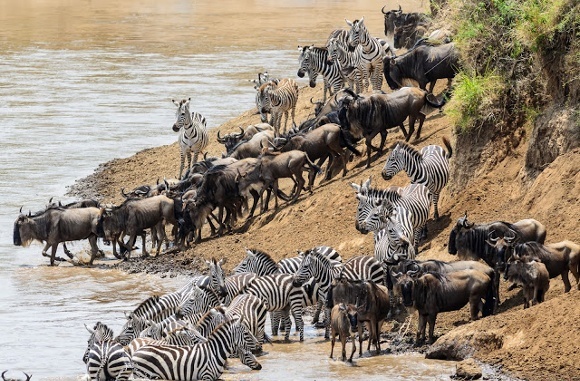 One of the most exciting experiences in Africa is the Great Migration of over 2 million Wildebeest and Zebras in the Serengeti and Masai Mara ecosystems. These two expansive eco-systems offer wildlife enthusiasts and guests simply wishing to kick back and relax a fascinating wilderness to discover as you return to the roots of the earth during your Africa trips. This landscape has hardly changed in a million years. Rivers, animals and plants remain as they were. Accounting for an impressive 14% of the land of Tanzania, the Serengeti is also a UNESCO World Heritage site. Together with the Masai Mara, it’s northern neighbour, the Serengeti plays home to the world’s largest Terrestrial Migration by mammals – the Great Wildebeest Migration. 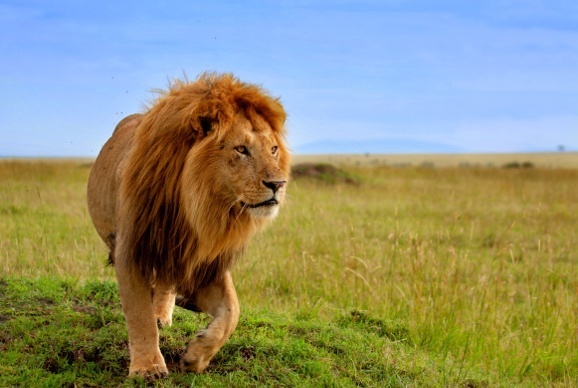 Located on traditionally ancestral land of the Maasai People, the wildlife of the Serengeti and Masai Mara have lived side-by-side with this proud community, sharing space and resources for hundreds of years. 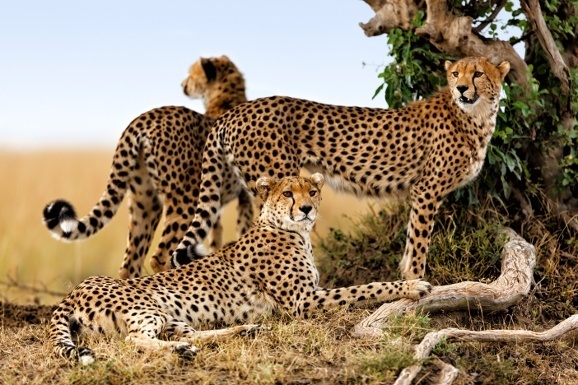 The Southern Serengeti is an expansive area boasting expansive grasslands, acacia woodlands, the Gol Mountains to the southeast, two lakes and one of the best areas to see Cheetahs in the wild. 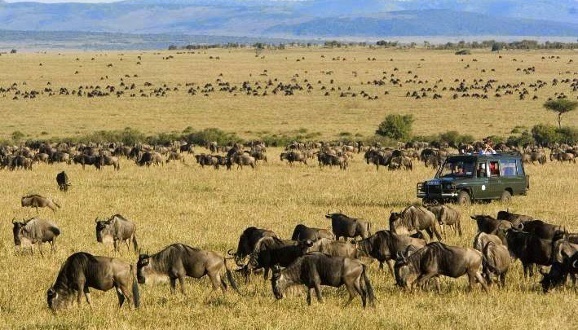 The Southern Serengeti is most popular when the Migration passes through, during December-March, also known as the Green or Birthing Season as the Wildebeests tend to give birth during this period. 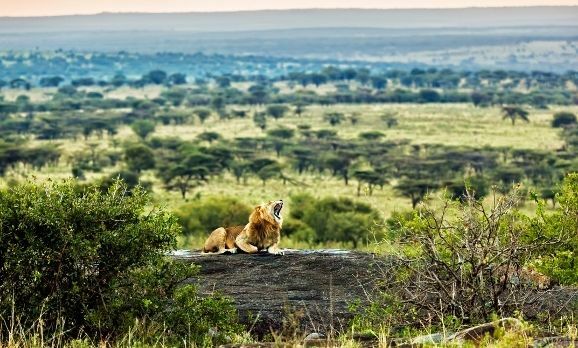 This is what the Masai ethnic peoples of the area have always called the Serengeti and boasts the classic scenes we imagine of Africa: a Savannah brimming with wildlife and acacia trees. The Seronera Valley is a most popular and visited spot, but we also recommend a stay in the Moru Kopjes area. 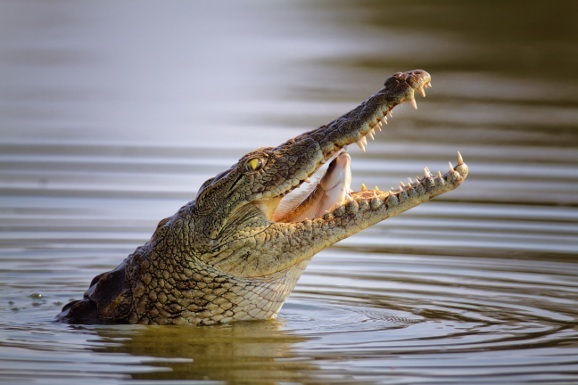 The Grumeti River is a feature of the area with the open hungry mouths of Nile crocodiles. Expect more forested areas and a dense bush all the way to Lake Victoria . The Western Corridor is most popular in June and the beginning of July, yet wildlife here can be less predictable than elsewhere in the Serengeti. Experience the drama as the wildebeest attempt dangerous river crossings. The Northern Serengeti provides a wonderful array of grazing herbivores and hunting carnivores alike. The area offers some of the Serengeti’s most diverse scenery from broad valleys to expansive grasslands, rivers and riverine forests. It is one of the best places for the famous Migration river crossings. 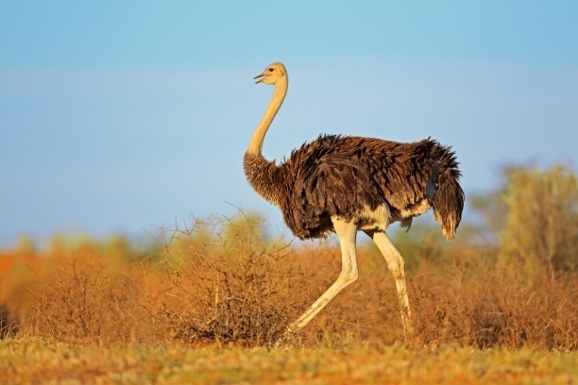 Bird enthusiasts will adore the Lobo Hills with its 500 species from black eagles gliding the skies to the over-sized ostrich on the land. Boasting some of the largest numbers of wildlife in a concentrated area, the Masai Mara is a great destination throughout the year, but particularly during the months of July-September when the migrating Wildebeest pass through the Mara Confluence area, bordering the Mara and Talek rivers is a particularly good spot to witness river crossings. The private conservancies of Mara Naboisho, Mara North and Olare Orok, all of which border the National Reserve offer some of the best safaris in Africa! Set up as conservation efforts between the local Maasai communities and safari operators, these conservancies are also great models on human-wildlife cohabitation. Visitors here can expect a more exclusive wildlife experience, with fewer vehicles on safari in Kenya and a greater feeling of wilderness and freedom where off-road driving and walking safaris are also permitted. During the months of December to March, you can witness the intense wildebeest calving season in the Southern Serengeti. 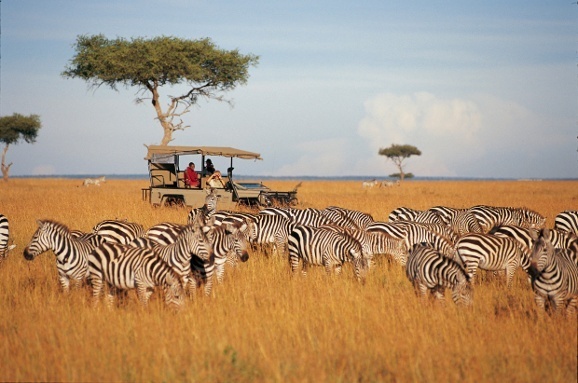 May-June is ideal for a safari in Kenya, especially in the Central Serengeti around the Moru Kopjes area. Here the Wildebeests split up with some heading into the Western Corridor to cross the Grumeti River and some heading north during June-July. By July most of the herd should have met up in the Northern Serengeti and start making their way into the Masai Mara in July-August. September-October sees a month of change as they start migrating southward from the Masai Mara, through the Northern Serengeti and into the Central plains where they stay throughout the month of November. By December, they should be settling back in the south to begin the process all over again. There are two rainy seasons in the Serengeti – a long one occurring from March to May and a shorter one between October and November. 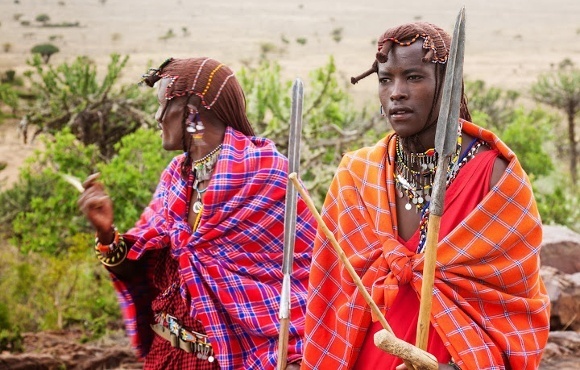 All year around you can also experience the incredible culture of the Maasai people who graze their livestock on their ancestral land and continue to practice ancient rituals including dances and sacrifices. For heritage and culture buffs, just ask your travel consultant to include this in the itinerary for your safari in Kenya. Top Tip! 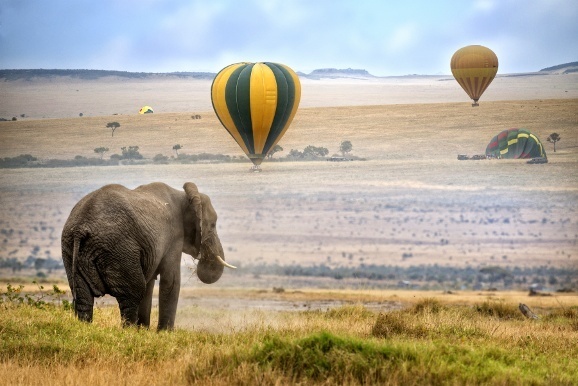 Travel the Serengeti or the Masai Mara by hot air balloon for the most incredible and relaxing bird’s eye view of the region. Discover THE GREAT MIGRATION WITH US! Any suggestions for seeing as much as possible about the migration. We have been to the crater many years ago and other countries in the region. We are happy to help you with more suggestions to maximise your time witnessing the migration and we will email you directly.